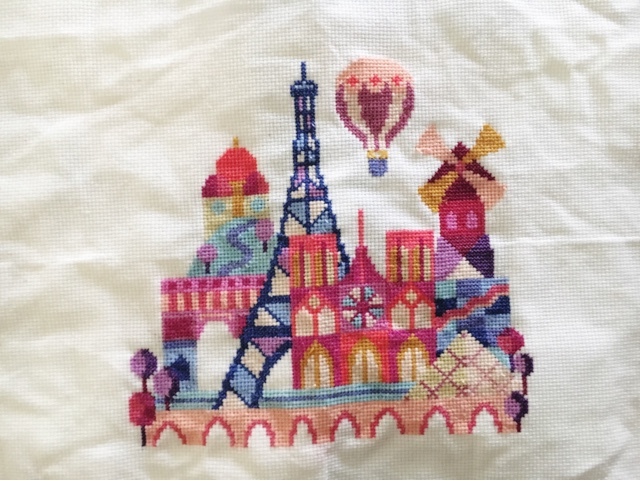 Before the cactus piece, I worked on this Pretty Little Paris design by Satsuma Street. Honestly, I had it out to work on for several months before I actually started working on it. Once I started working on it pretty diligently at the end of October, it took me about six weeks to finish it. (I'm a slow stitcher, obviously...) I still haven't framed it, but that's on my to-do list for this week. These photos show the finished piece as well as a couple of in-progress shots. I also have a couple of designs that are in the works right now. I've already started working on Pretty Little Italy by Satsuma Street. I love the colors of this design, so I'm excited to really get into it. Of course, it's been like a week already and I've accomplished very little since I haven't really spent much time on it. 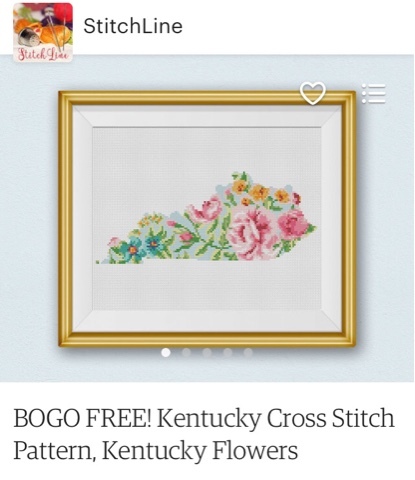 Just before Christmas, I also purchased this cross stitch design of the state of Kentucky. I don't have any plans to make it immediately, but it was part of a buy 2 get 1 free deal. 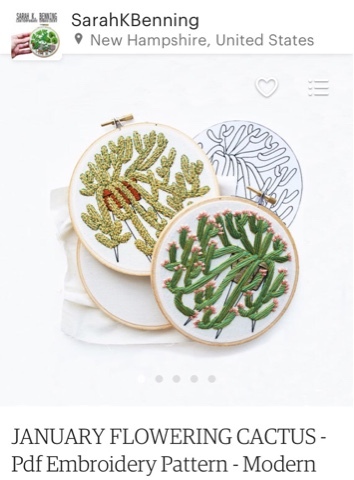 That's just an update on my stitchy life these days. I'm glad that I've picked it back up again because I find it very relaxing. It's a nice thing to keep my hands occupied while I'm watching tv in the evenings, and it's nice that it's so portable. I don't find scrapbooking especially a portable hobby, so that's definitely a plus for stitching projects. I have a tendency to work a bit on a project during my planning period or lunch break at work and then again in the evening in front of the tv or just before bed. I'd also think it would be a great option for long travel days (car, plane, train). 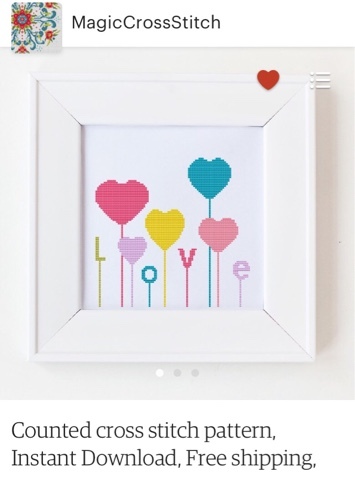 I used to do counted cross stitch and hadn't thought about it for years! I even have some really old Counted Cross Stitch magazines that I found when I went through everything in my craft room. But, anyhow - reading about your experiences made me think I should get mine out and try this again! Thanks!! Love the Pretty Little Paris piece! !